The trade war between the United States and China is turning back. Washington and Beijing will restart trade negotiations and what appeared to be a large-scale trade war now begins to reduce in size. The first step has been given by the Chinese Ministry of Commerce to clear the way and allow a group of US investors to buy the chip division of Toshiba Corp. 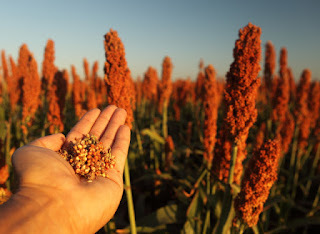 The Asian giant also suspended an investigation on imports of American sorghum, used to feed animals and by Chinese farmers for the production of a local drink called baijiu, considering that the process went against the national interest. The high tariffs of 178.6% imposed on US sorghum barely a month ago excessively increased the costs of Chinese consumers and was far away from the public interest, so it was decided to eliminate it. China made a mistake and both countries initiated the war. But if war continues, American farmers would lose their largest export market, a fact that would logically affect their economies. China imports from its economic rival 90% of North American sorgo, equivalent to 4.76 million tons for a value of approximately 1,100 million dollars, according to Reuters. As expected, it is not convenient for the United States to lose the largest consumer market in the world. Recently it has restarted the talks so that Beijing increases the purchases of American goods and services. However, to accomplish this they need to reduce the tension level of their commercial. On April 18, the Ministry of Commerce of China initiated investigations after accusing the United States of unfair competition, at the same time that Trump’s administration imposed tariffs on solar panels and washing machines produced in the Asian giant. But after the US concessions with the Telecommunications Company ZTE, China is trying to show its willingness to avoid a commercial and economic confrontation between the two most powerful economies in the world. The move was criticized by both Republicans and Democrats; in spite of that, it has been an incentive to improve trade relations between the two countries. Wang Tao, a Chinese analyst concludes that the Asian giant wants to resolve the trade dispute initiated by US President Donald Trump, but therefore, this does not mean they will knee to the United States’ demands. Other points reviewed of the trade reconciliation agenda are those related to US exports of agricultural products and energy. Nevertheless, the amount in dollars that this relaxation of trade tensions between both countries will be is still unknown. They have not either discussed whether Chinese steel and aluminum tariffs will be reduced and whether the exemptions will also apply to telecommunications companies and technology producers. The only thing is for sure is that Washington wants to set measures to reduce the US trade deficit and strengthen cooperation to protect intellectual property, a claim made by Donald Trump that prompted him to raise tariffs. The United States aims to reduce the deficit with China by at least 200 billion dollars by the end of 2020. China has not made public what its list of demands will be, perhaps because all the time they retaliated and because they really are not afraid of an economic confrontation with the Americans. Yet, the news has not stopped alarming the analysts, many of whom did not imagine that China would yield to the pressures of reducing the negative US trade balance. Some economic analysts believe the whole thing is part of US diplomacy to attend the summit next June with North Korea without setbacks, while China has returned the favor to the United States in relation to ZTE.